There was once a woman who baked the best cakes in the whole world. The fairies loved her cakes. But they didnâ? ?t want to buy them and the woman was far too clever to let anyone steal them. So the fairies decide to steal the cake-maker instead! 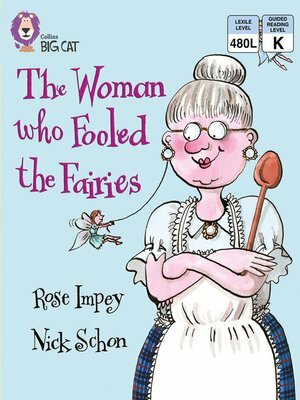 What follows is a hilarious account of how the woman manages to escape the greedy fairiesâ?? clutches. â?¢ Gold/Band 9 fiction books offer developing readers literary language and stories with distinctive characters. â?¢ Text type - A traditional story. â?¢ A story map on pages 22 and 23 tracks the comings and goings of the unfortunate fairies to help children retell the story in their own words. â?¢ Curriculum links - PSHE: Recognise what they like/dislike, what is fair/unfair and what is right/ wrong.